Check out from Hotel and proceed to Munnar. Kerala is blessed with amazing beauty of nature and it can be seen and you will enjoy all throughout your journey through honeymoon tour Kerala. On the way visit the water falls of Valara and Cheeyappara.Overnight Stay at Munnar Resort/Hotel. You are now to experience the beauty of the green paradise on your honeymoon vacations. Local sight seeing (Mattupetty Dam,Tea Plantation) Sightseeing Munnar - visit Rajamalai to see the Nilgiri Tahrs,Mattupetty where boating facility is available. The Echo-point , Kundala lake for boating in Shikara type of boats,Top Station - The border. Enjoy the hearty morning breakfast at houseboat. 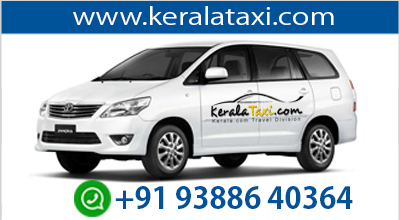 Later we transfer you to Cochin – airport/ Railway station to proceed for your onward journey or way back home. Here your memorable and romantic Kerala honeymoon tour ends.